Carlos Quentin was acquired a few years ago in a trade with the White Sox. He has had a tough time staying on the field. 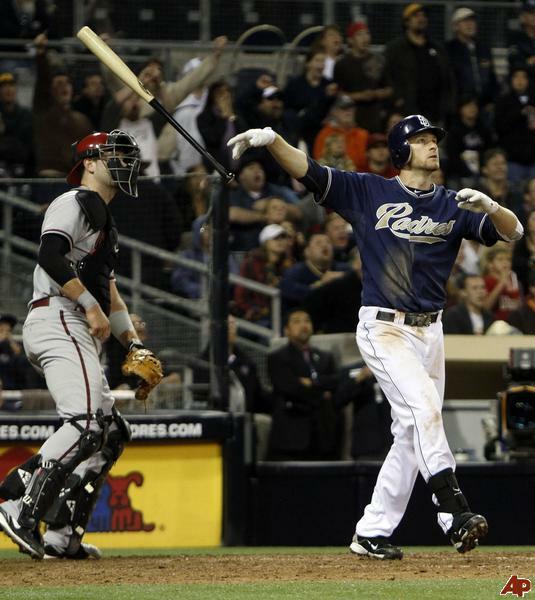 His 2014 numbers are brutal, but he did carry an .850 OPS combined in 2012 and 2013 combined for the Padres. At least the players sent to the Pale Hose haven’t amounted to a hill of beans either. The big OF was extended to a 3 YR deal worth $27 MIL midway through the 2012 campaign. Yasmani Grandal (25) C: December 17, 2011: Traded by the Cincinnati Reds with Yonder Alonso, Brad Boxberger and Edinson Volquez to the San Diego Padres for Mat Latos. Yonder Alonso (27) 1B: With the San Diego Padres as well in 2014. Edinson Volquez (30) SP: August 27, 2013: Released by the San Diego Padres. Brad Boxberger (26) P: January 22, 2014: Traded by the San Diego Padres with Matt Andriese (minors), Matt Lollis (minors), Maxx Tissenbaum (minors) and Logan Forsythe to the Tampa Bay Rays for Jesse Hahn and Alex Torres. Matt Andriese (25) P: Drafted by the San Diego Padres in the 3rd round of the 2011 MLB June Amateur Draft. Maxx Tissenbaum (22) 2B/DH: Drafted by the San Diego Padres in the 11th round of the 2012 MLB June Amateur Draft. Matt Lollis (23) P: Drafted by the San Diego Padres in the 15th round of the 2009 MLB June Amateur Draft. Logan Forsythe (27) 2B/SS/3B: Drafted by the San Diego Padres in the 1st round (46th pick) of the 2008 amateur draft. Jesse Hahn (24) SP: Just called up by the big club. Mat Latos (26) SP: Drafted by the San Diego Padres in the 11th round of the 2006 amateur draft. Jedd Gyorko (25) 2B/3B: Drafted by the San Diego Padres in the 2nd round of the 2010 amateur draft. Everth Cabrera (27) SS: December 11, 2008: Drafted by the San Diego Padres from the Colorado Rockies in the 2008 rule 5 draft. Chase Headley (30) 3B/LF: Drafted by the San Diego Padres in the 2nd round of the 2005 amateur draft. Alex Torres (26) RP: Has been in the Padres Bullpen in 2014. Seth Smith (31) PH/OF: December 3, 2013: Traded by the Oakland Athletics to the San Diego Padres for Luke Gregerson. Luke Gregerson (30) RP: March 23, 2009: the St. Louis Cardinals sent Luke Gregerson to the San Diego Padres to complete an earlier deal made on December 4, 2008. December 4, 2008: The St. Louis Cardinals sent a player to be named later and Mark Worrell to the San Diego Padres for Khalil Greene. Mark Worrell (31) P: December 12, 2009: Granted Free Agency from the Padres. Khalil Greene (34) SS: Drafted by the San Diego Padres in the 1st round (13th pick) of the 2002 amateur draft. Cameron Maybin (27) OF: November 13, 2010: Traded by the Florida Marlins to the San Diego Padres for Edward Mujica and Ryan Webb. Edward Mujica (30) P: April 1, 2009: Sent to the San Diego Padres by the Cleveland Indians as part of a conditional deal. Ryan Webb (28) RP: July 5, 2009: Traded by the Oakland Athletics with a player to be named later and Craig Italiano (minors) to the San Diego Padres for Scott Hairston. 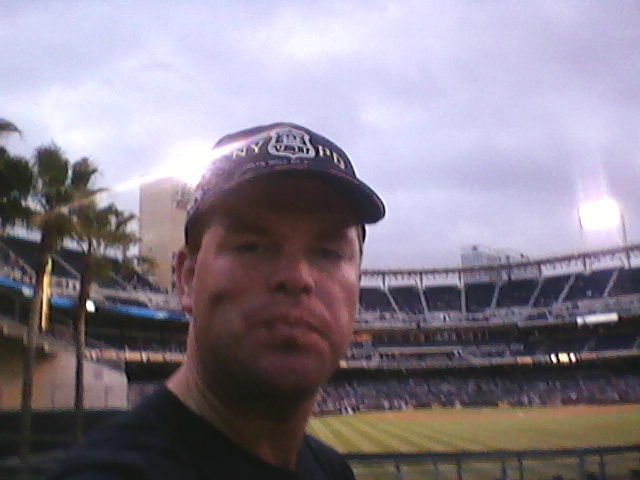 The Oakland Athletics sent Sean Gallagher (July 28, 2009) to the San Diego Padres to complete the trade. Craig Italiano (28) P: On September 15, 2010, Italiano was designated for assignment by the Padres. Sean Gallagher (28) P: July 7, 2010: Purchased by the Pittsburgh Pirates from the San Diego Padres. Scott Hairston (34) 2B/PH/OF: July 27, 2007: Traded by the Arizona Diamondbacks to the San Diego Padres for Leo Rosales. Leo Rosales (33) P: Drafted by the San Diego Padres in the 20th round of the 2003 amateur draft. Chris Denorfia (33) OF: December 18, 2009: Signed as a Free Agent with the San Diego Padres. Will Venable (31) OF: June 7, 2005: Drafted by the San Diego Padres in the 7th round of the 2005 amateur draft. Player signed June 17, 2005. Alexi Amarista (25) UT: May 3, 2012: Traded by the Los Angeles Angels of Anaheim with Donn Roach to the San Diego Padres for Ernesto Frieri. Donn Roach (24) P: Roach has worked in the Bullpen and started one game in 2014 for the Padres. Ernesto Frieri (28) RP: Signed by the San Diego Padres as an amateur free agent in 2003. 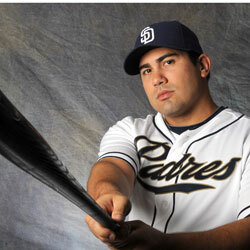 Rene Rivera (30) C: December 12, 2012: Signed as a Free Agent with the San Diego Padres. Tommy Medica (26) 1B/PH/LF: Drafted by the San Diego Padres in the 14th round of the 2010 amateur draft. Carlos Quentin (31) OF: December 31, 2011: Traded by the Chicago White Sox to the San Diego Padres for Simon Castro and Pedro Hernandez. Simon Castro (26) P: Signed by the San Diego Padres as an amateur free agent in 2006. Pedro Hernandez (25) P: Signed by the San Diego Padres as an amateur free agent in 2006. Jace Peterson (24) 2B/3B: June 6, 2011: Drafted by the San Diego Padres in the 1st round (58th pick) of the 2011 amateur draft. Player signed June 11, 2011. Irving Falu (31) 2B/SS/3B: June 26, 2014: Selected off waivers by the San Diego Padres from the Milwaukee Brewers. Jake Goebbert (26) 1B/LF/PH: May 15, 2014: Traded by the Oakland Athletics with a player to be named later to the San Diego Padres for Kyle Blanks. The Oakland Athletics sent Ronald Herrera (minors) (May 28, 2014) to the San Diego Padres to complete the trade. Ronald Herrera (19) P: Herrera is currently in with Fort Wayne (A Ball Affiliate). Kyle Blanks (27) LF/1B: Drafted by the San Diego Padres in the 42nd round of the 2004 amateur draft. Jedd Gyorko parlayed a brilliant rookie season (.745 OPS – with 23 HRs and 64 RBI in 486 AB) into a 5 YR deal worth $35 MIL from management. The 2nd RD Draft Pick by the Padres in 2010, has struggled in 2014, before going to the DL with plantar fasciitis in his left foot. At the time of that placement, he has a 3 Slash Line of .162/.213/.270 – with 5 HRs and 24 RBI in 204 AB. In a year with horrible offensive production, Gyorko resembles most of the futile lineup totals among the roster put forth. Posted on June 30, 2014, in MLB Roster Trees and tagged A.J. Hinch, alex torres, alexi amarista, brad boxberger, cameron maybin, carlos quentin, chase headley, chicago white sox, chris denorfia, cincinnati reds, cleveland indians, craig italiano, Donn Roach, edinson volquez, Edward Mujica, Ernesto Frieri, everth cabrera, fort wayne, fred uhlman jr., Irving Falu, Jace Peterson, Jake Goebbert, jed hoyer, jedd gyorko, Jesse Hahn, kevin towers, khalil greene, kyle blanks, leo rosales, logan forsythe, luke gregerson, mark worrell, matt andriese, Matt Lollis, Maxx Tissenbaum, miami marlins, nl west, oakland a's, omar minaya, Pedro Hernandez, petco park, Rene Rivera, ronald herrera, ryan webb, san diego padres, scott hairston, sean gallagher, seth smith, Simon Castro, tampa bay rays, Tommy Medica, will venable, yasmani grandal, yonder alonso. Bookmark the permalink. Leave a comment.